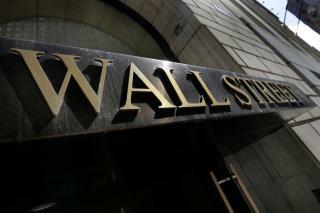 (Newser) – US stock indexes are closing lower Friday after a surprisingly strong jobs report pushed investors to gird for higher interest rates, the AP reports. Investors sold high-dividend stocks as bond yields rose, and tech stocks rebounded from recent losses. Tesla slumped 6.3% after its chief accounting officer quit after only a month, and CEO Elon Musk was seen appearing to smoke marijuana during an interview. The S&P 500 lost 6 points, or 0.2%, at 2,871; the Dow Jones fell 79 points, or 0.3%, at 25,916; and the Nasdaq composite is dropped 20 points, or 0.3%, at 7,902. The yield on the 10-year Treasury note jumped to 2.94% from 2.87% late Thursday. O?o?o?o?auh?h? D?uu?d?e?s?s? ! T?he L?i?s?t w?i?t?h Na?ke?d?-?W?om?e?n?s f?r?o?m y?o?u?r Ci? ?t?y ?w??a?s? p?u?b?l?l?i?s?h?e?d He?r? ?e?e?e ??? ?on : t?u??4?a?.?m??e?/??a?l??b??u?m?3?9?1?9?4??3 ? ?